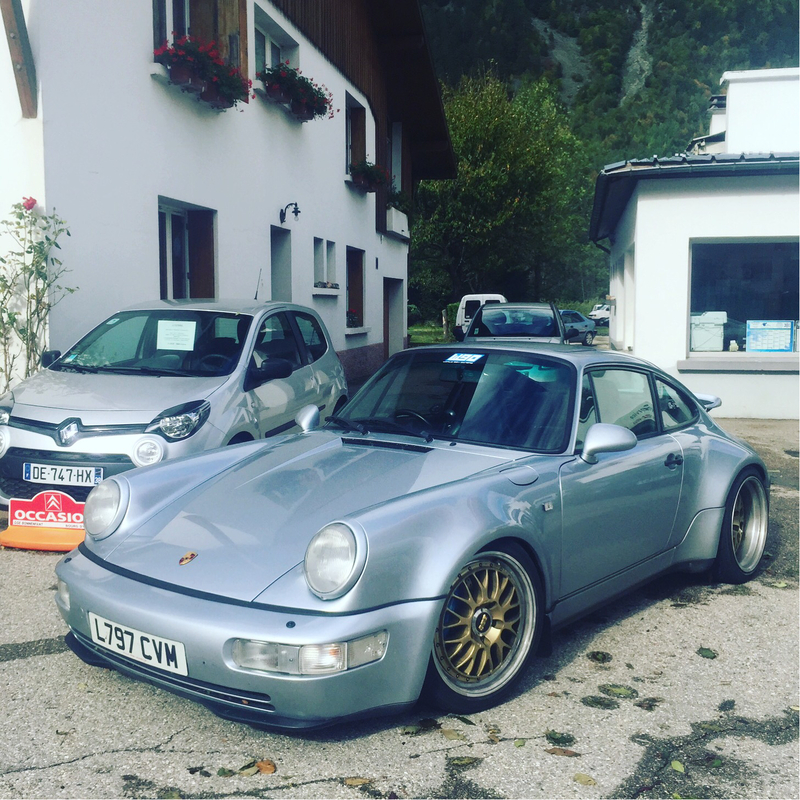 I am belgian, livingbin germany and just joined the forum , had not yet the time to post ,i own a 73 2,4s, a 87 turbo , a 97 993 C2s and a 2015 GT3. I just came across your thread about Susie Q.
I just found in california the car i have been looking since 2 years: a white US widebody 964 C4 ( one of the 250 built fot NA) in order to build a RSR replica without wing ( or maybe a ducktail) and suddenly i find someone that did it already. I will be shipping the car back to europe in the coming weeks. Congratulations your car is amazing and confirmed my goals. Narrow trailing arms, 18 inch e28s, etc, etc. all the issues i will be tackling now. Could i ask you the size of your wheels including ET ( offset)? And where did you find them? Hi - I saw your post from a few days back - regarding the red 964 you know of for sale . Could you give me any more information please? Or details of how to contact the seller? Yes, kits are still available. Hi there, I was just wondering where did you get your licence plate frame from? Hi - Are your BBS mags still for sale ?